This is Steve Keefe, Broker Owner of Coldwell Banker Sky Ridge Realty in Blue Jay, California! Steve is the reason I am in Real Estate and I have much to be thankful for because of him including his enthusiasm and encouragement he manages to provide everyday. It is not easy to be Steve Keefe, here are just a handful of things this guy does on a regular basis… He is first a husband to his beautiful wife Jamie, a father to his 2 sons (who puts his heart and sole into both their activities on a daily basis), a coach, a broker to 60 agents, an Angels fan, a golfer and the list goes on and on. 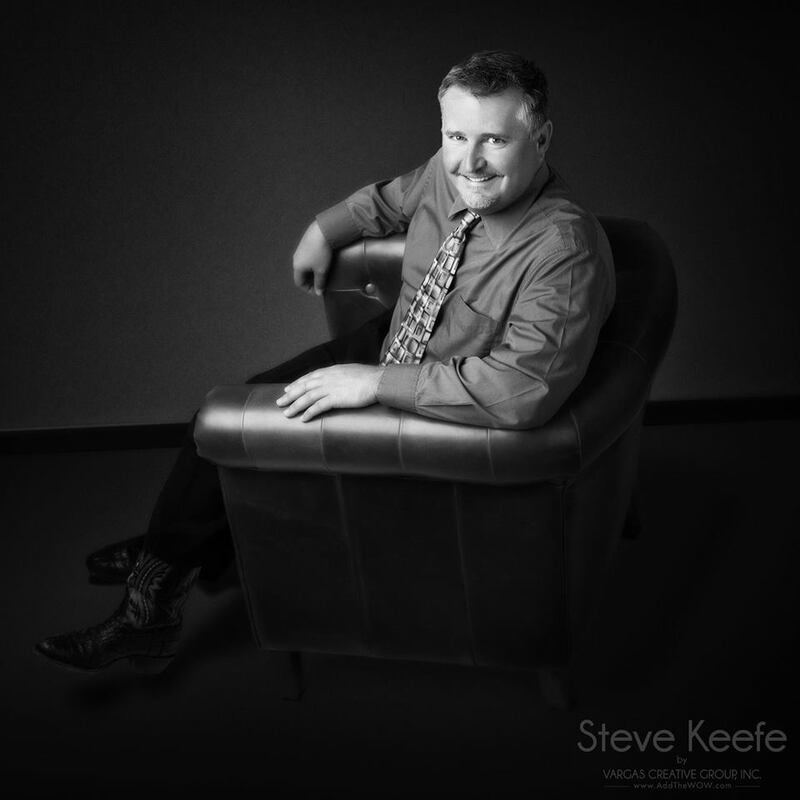 Steve is constantly on the up-and-up with all the latest and greatest tools for his business. I am amazed at the energy this man has and also I have the utmost respect for him because if ever any agent in the office (remember there are 60) needs to talk, he is ALWAYS available and will take the time to listen and or help you build your business. Steve can sometimes be a firecracker, but then again can’t we all. 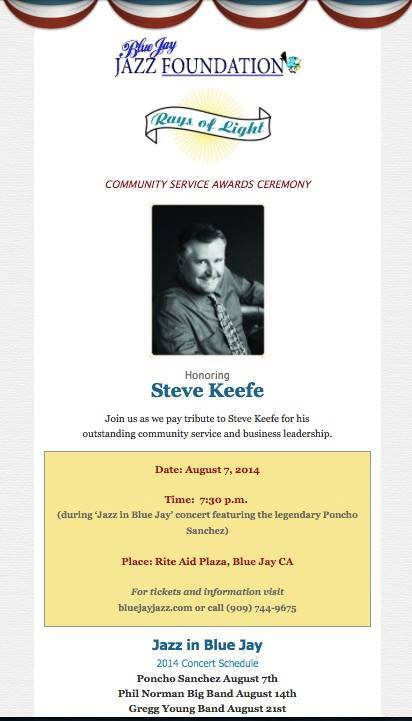 On August 7th, Steve is being recognized at the Blue Jay Jazz festival! I just wanted to brag a little about my Broker. Hope to see you all there! Check out this new cutie in the Villas! 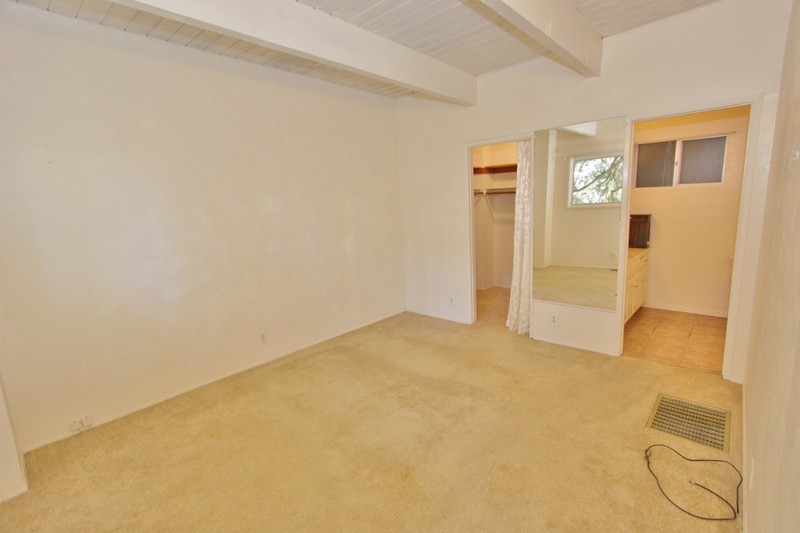 This house is a 2 bed/ 1.5 bath, 960 sq ft. and has the perfect setting! 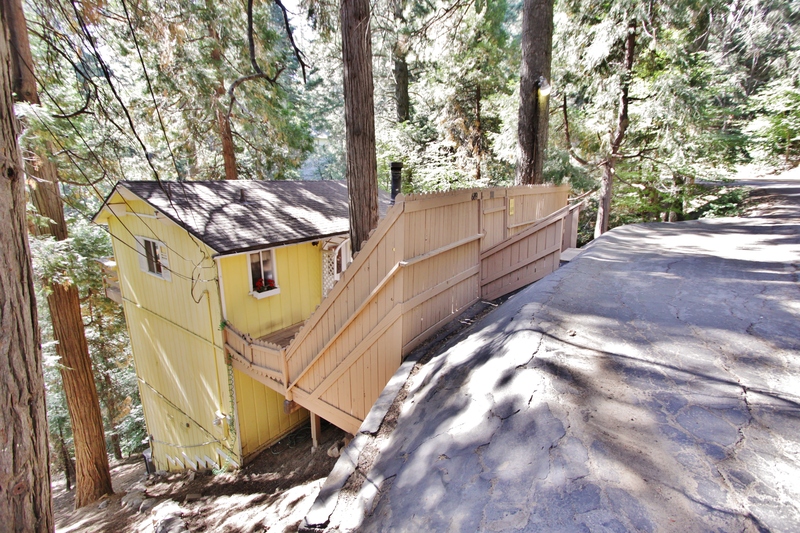 Peaceful Cabin in Arrowhead Villas! 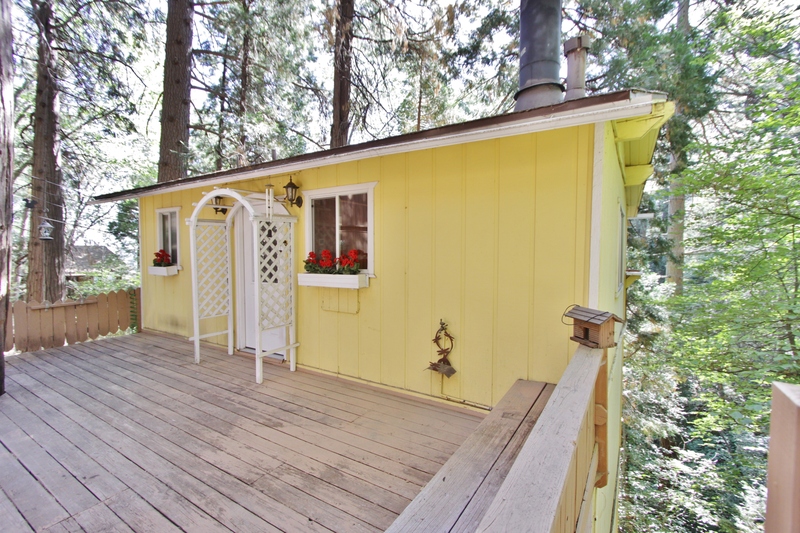 This cute little home sits down off the street in between the Pines and the Dogwoods and is on 2 lots. There is plenty of room to build a parking deck on the right side of the house or even a garage. There is a large ‘build-up’ that can be accessed from the second floor. 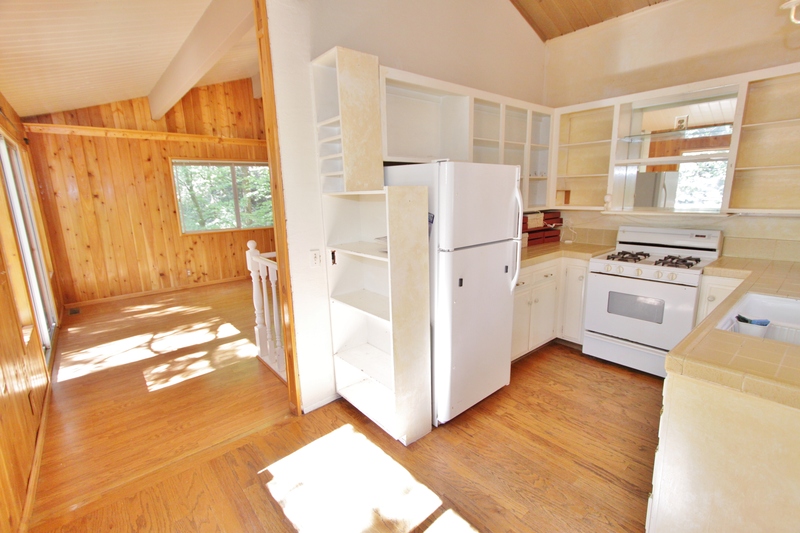 House includes air conditioning, washer /dryer and the fridge. 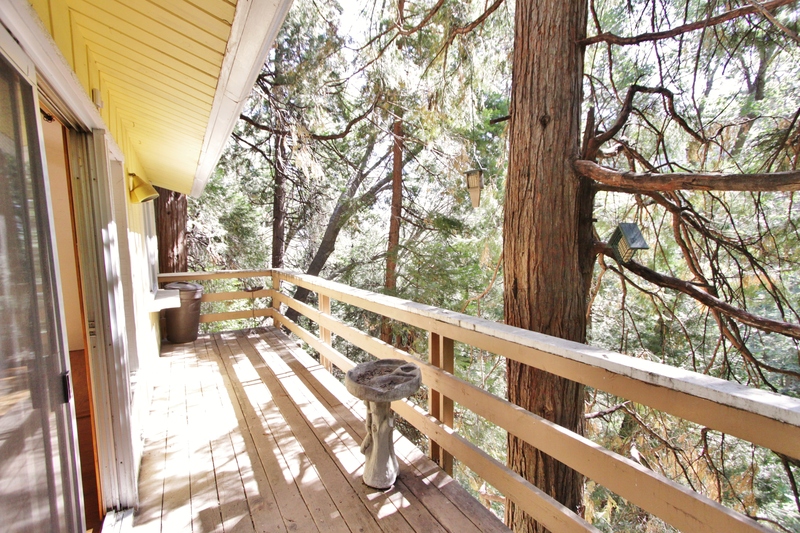 Home is being sold as is and only needs a few updates to make it the perfect Mountain Get-Away! For a showing please contact me at 909-336-7989! Listed at $135,000, this house is priced to sell! 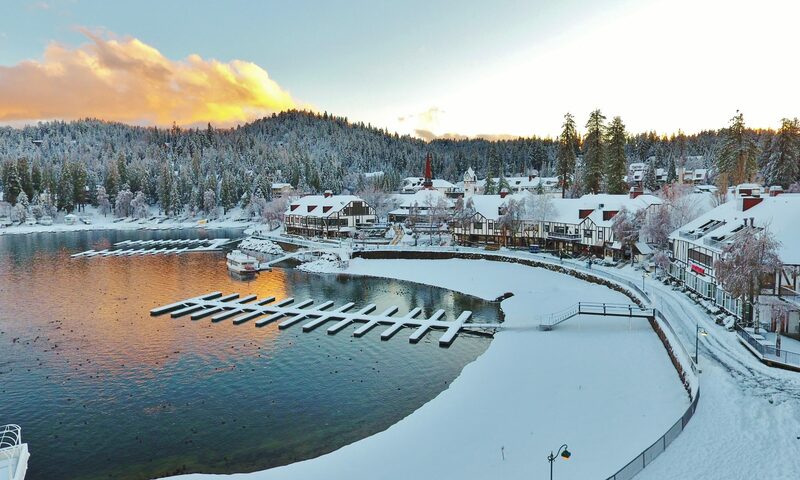 This year Tour de Lake Arrowhead will take place on Saturday August 23, 2014 and is open to riders of all abilities! The following info and pictures came directly from the Rim-Rec website. 63 miles – 4 Lakes and 6700’ elevation gain! 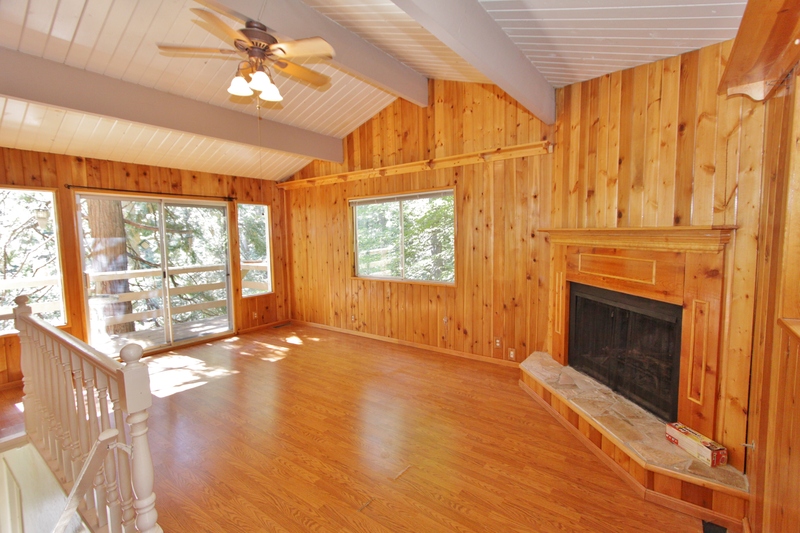 Lake Arrowhead, Papoose Lake, Grass Valley Lake, Lake Gregory, with views of Lake Silverwood! Don’t forget to sign up before it is too late! 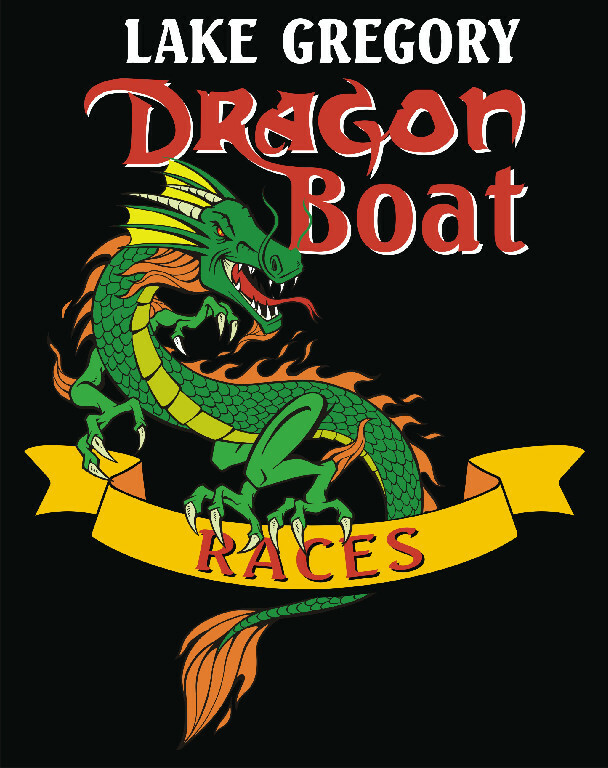 will host the 7th annual Lake Gregory Dragon Boat Races. 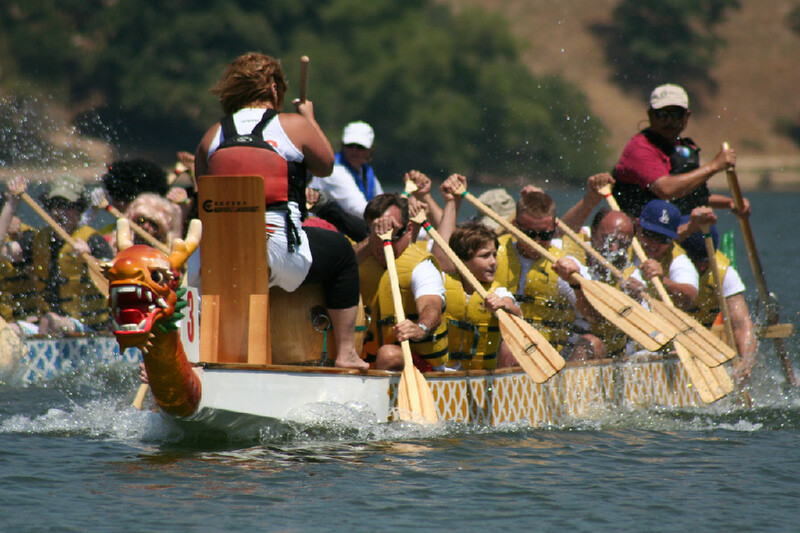 Dragon Boat racing is an ancient Chinese sport alive with tradition. 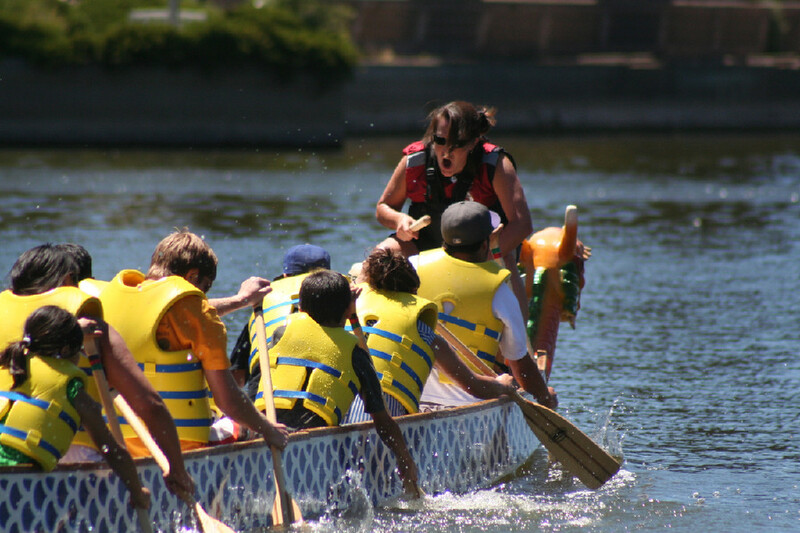 Teams of paddlers race against each other in friendly competition. At the sound of the air horn these 40 foot canoes, adorned as dragons, are off to a fast pace across beautiful Lake Gregory. All pictures and details were taken from the official website. SAVE THE DATE… August 9, 2014 for the 35th Annual Run Through the Pines! 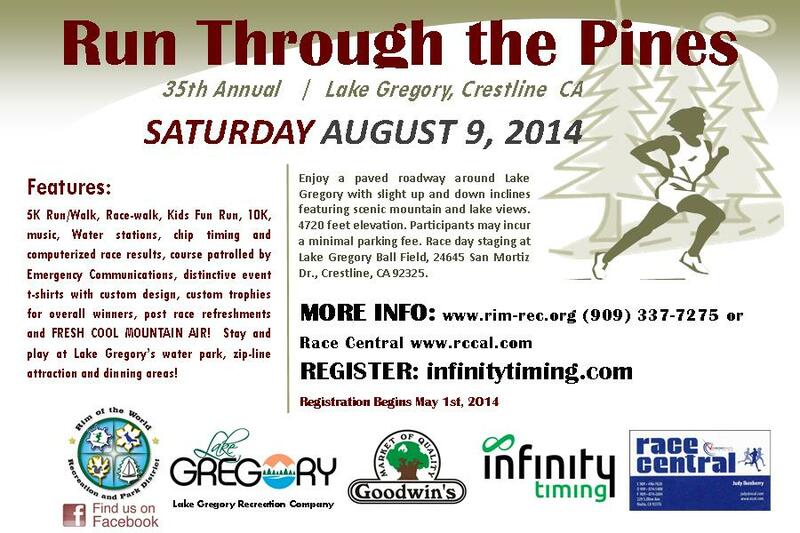 This run takes place at Lake Gregory in Crestline, CA. I run this trail all the time and can personally say that I have ran in this race. I can speak from experience that this run is fairly easy and lots of fun! Remember that you will be running in high altitude, so be prepared to be a little winded if you are not used to the elevation! The run features: 5K Run/Walk, Race-Walk, Kids Fun Run, 10K, music, water stations, chip timing and computerized race results, course patrolled by Emergency Communications and much more. Remember to run safe and have fun!